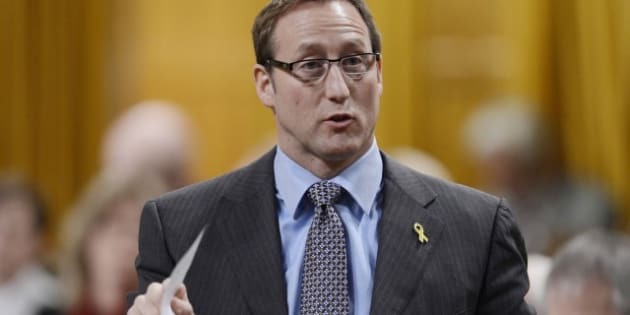 OTTAWA - Defence Minister Peter MacKay says a heavy-lift Canadian air force transport plane will continue to assist French forces in Mali for another month. The commitment involving the C-17 Globemaster, which has been shuttling war material, vehicles and troops between France and the Malian capital of Bamako, was set to expire Friday. MacKay confirmed the extension to March 15 outside of the House of Commons on Thursday following question period. "We received a request a few days ago, but it was a request that came to us through military channels," MacKay said. "We wanted to examine the specifics of what that would request would entail and how it would fit with ongoing operational requirements of the Canadian Forces." MacKay offered no details on the status of the special forces contingent that was deployed to protect the Canadian embassy in Bamako, which had been scaled back. It is the second extension for the Canadian support mission, which kicked off in early January after French forces intervened in the former west African colony where al-Qaida-linked militants had threatened to overrun the country. In January, air force planners cleared the schedule of the C-17 transport, which is attached to 429 Squadron out of CFB Trenton, Ont., for up to three months to give the government flexibility in the unfolding situation. French forces have made quick work of militant strongholds, pushing them out of many provincial towns in the northern part of Mali. But fears of an Afghanistan-style insurgency have taken hold as both Western and African troops have faced roadside bombs and ambushes in some areas that were thought cleared of guerrillas. Foreign Affairs Minister John Baird acknowledged that threat in his testimony before a House of Commons committee earlier this week, saying Canada won't "get into another Afghanistan." Public opinion polls suggests Canadians don't want to see the country get any more involved in the conflict than it already is. Prime Minister Stephen Harper said last month that he would reach out to the Opposition parties to seek a "broad" national consensus Canada's next steps — a reflection of fears the war in Mali would be a drawn-out conflict. The Commons foreign affairs committee has held a series of hearings, mostly fact-finding sessions. Thursday's news of the C-17 extension caught Opposition members off guard. NDP foreign affairs critic Paul Dewar said there's been virtually no dialogue, in spite of the government's promise to consult the House about the mission. "What we need to know from the government is, what was the basis of this extension?" Dewar said. "We need some details. Having a minister announce this as he's walking up the stairs isn't helpful. It's not open and it's not what the government said it would do on Mali." The U.N. Security Council is still debating whether to deploy up to 6,000 peacekeepers in Mali to help stabilize the country. The 15-member council has dragged its feet on approving a French request for blue-helmeted peacekeepers to patrol areas that it has cleared of militant fighters. Officials at the UN have suggested in media reports out of New York that the council is close to a consensus.